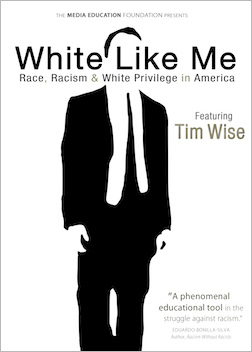 White Like Me, based on the work of acclaimed anti-racist educator and author Tim Wise, explores race and racism in the US through the lens of whiteness and white privilege. In a stunning reassessment of the American ideal of meritocracy and claims that we've entered a post-racial society, Wise offers a fascinating look back at the race-based white entitlement programs that built the American middle class, and argues that our failure as a society to come to terms with this legacy of white privilege continues to perpetuate racial inequality and race-driven political resentments today. For years, Tim Wise's bestselling books and spellbinding lectures have challenged some of our most basic assumptions about race in America. White Like Me is the first film to bring the full range of his work to the screen -- to show how white privilege continues to shape individual attitudes, electoral politics, and government policy in ways too many white people never stop to think about. Features Tim Wise, Michelle Alexander, Charles Ogletree, Imani Perry, Martin Gilens, John H. Bracey, Jr. and Nilanjana Dasgupta. “It is easy for whites to assume that they are not racist, that they are 'postracial.' White Like Me shows how these 'colorblind' racial attitudes don’t cut it. They INCREASE racial inequality and LIMIT democracy, rather than the reverse. This video helps us understand racism as a problem faced by our whole society, not just by people of color. While many whites remain oblivious to racism, others have courageously challenged it. Filmmaker Tim Wise is a shining example of that courage. White Like Me is an outstanding educational tool for both the classroom and the community. Highly recommended!"